You, the faithful readers of The Crunch Zone, deserve high quality content and dedication from our writing staff. It’s important to us that we continually deliver only the best of analysis so as to keep you informed and satisfied. 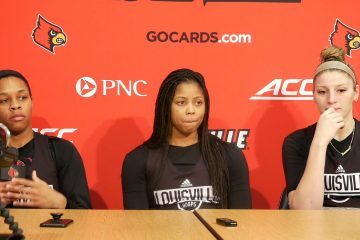 To that end, we offer this preview of today’s Louisville women’s basketball game versus the Pitt Panthers. Pitt (9-11, 0-6) stinks, and there is no good reason for the Cardinals to lose this game. Thank you. OK, maybe that’s the truth, but you deserve a bit more than that. But only because we like you. Statistically, things look extremely bleak for the Panthers. The Cardinals have held their last four opponents to under 50 points, and now face a Pitt team averaging only 57.7 points per game. 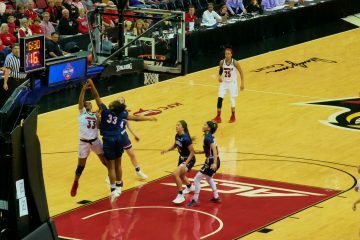 The Panther’s leading scorer Aysia Bugg is now out indefinitely due to blood clots after redshirting last season and is sorely missed by the Pitt offense. The Panthers aren’t doing themselves any favors by turning the ball over 18+ times per game, and now face a Louisville team averaging 21+ points off turnovers per game. First year head coach Lance White inherits a team that hasn’t beaten a ranked opponent since 2015, and has never beaten a top five team. The chances of that happening today are quite slim. 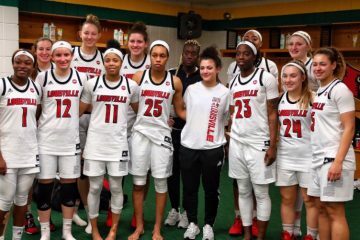 Cardinal junior forward Kylee Shook picked up a cut beneath her eye early in the game against Florida State on Thursday, and the Seminoles are probably regretting that. 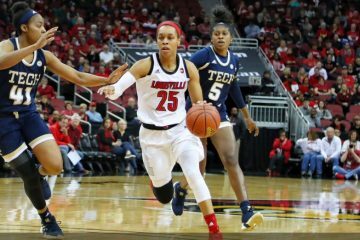 Kylee would go on to notch five blocks with eight points and nine rebounds, and show a level of aggression that had to date been lacking. Those five blocks may come in handy against Pitt sophomore center Cara Judkins and her 49.1% shooting. Please don’t make Kylee angry. You wouldn’t like her when she’s angry.